Piano Craft - Grand, upright, vertical, or digital piano rentals for concerts and events in the Springfield, MO and Branson, MO areas. They were born with a gift. Help them open it. 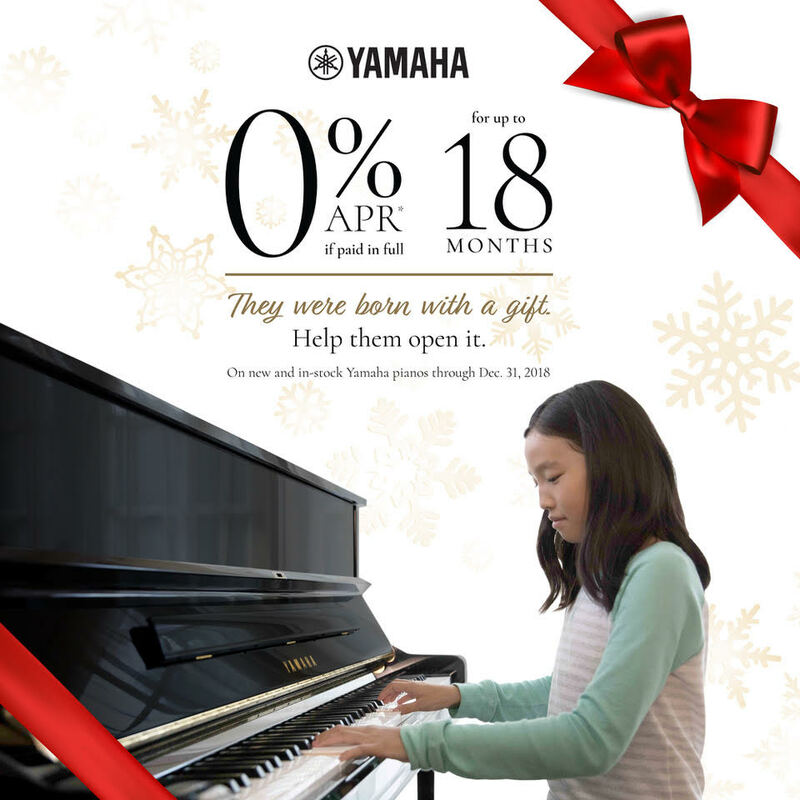 Help the musician in your life get to the next level this holiday season with a new Yamaha piano. Whether you’re in the market for an upright, grand, or digital—Piano Craft carries a full range of Yamaha instruments. Try out the piano of your dreams in our showroom and take one home with 0% APR for up to 18 months. This exclusive offer is only valid until December 31, 2018.